Our sixth and final CD!! 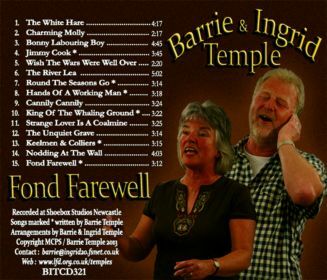 This album has our usual mix of traditional songs and new songs composed by Barrie. There are six new songs from Barrie on here! We also include songs and words by other writers that we hold in high regard and very much admire. 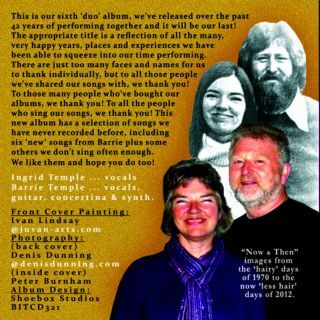 All these songs and original arrangements we have put together have never been recorded before, but we have been singing them for quite a while. Some songs have been requested for inclusion by others. We hope you like them too!